Remove odors associated with mold, mildew and bacteria in the A/C system. Freshen and remove odors from vehicle interior surfaces. Locking nozzle for easy automatic dispensing. 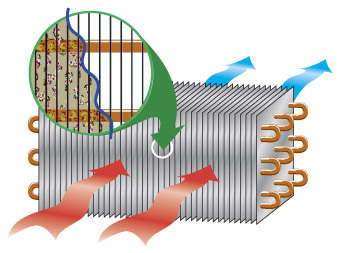 Deodorizing aerosol fog circulates through the entire heating, ventilation and air conditioning system. Vehicle interior fills with the deodorizing aerosol fog. Leaves the entire interior vehicle environment fresher and cleaner smelling. Freshens not only the HVAC (heating, ventilation and air conditioning) system, but the entire interior vehicle environment. Designed to eliminate unpleasant odors associated with mold, mildew, fungus and bacteria in the HVAC (heating, ventilation and air conditioning) system. 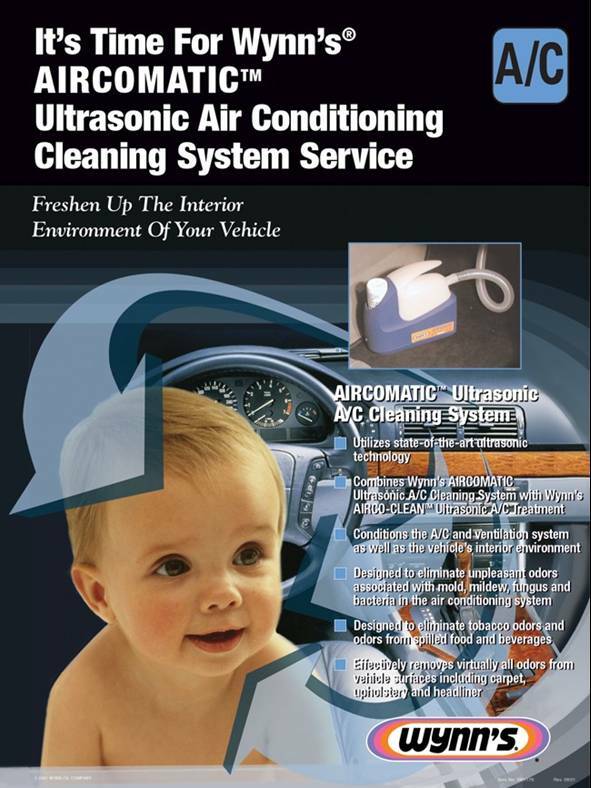 Designed to eliminate unpleasant odors associated with mold, mildew, fungus and bacteria in the air conditioning system. Designed to eliminate tobacco odors and odors from spilled food and beverages on vehicle surfaces, including carpet, upholstery and headliner.